The auditing is considered an independent and systematic examination of records, accounts, books, vouchers, and documents of an organization. The activity of auditing is done to evaluate the financial statements of the organization in order to ensure that the accounts and records are accurate and fair in regards to transactions for which they have been represented. The process of auditing is carried out by the employees of an organization or sometimes the companies hire an outside firm to perform the auditing function for them. The companies usually carry out this auditing process once in a year. Auditors are as important as auditing for the organization! The auditor is the most responsible person for planning and performing the auditing activities. The auditors help the organization to gain the assurance that their financial statements are completely accurate and reliable. The main duty of the auditor is to create and present the true financial statements without any fraud or errors. 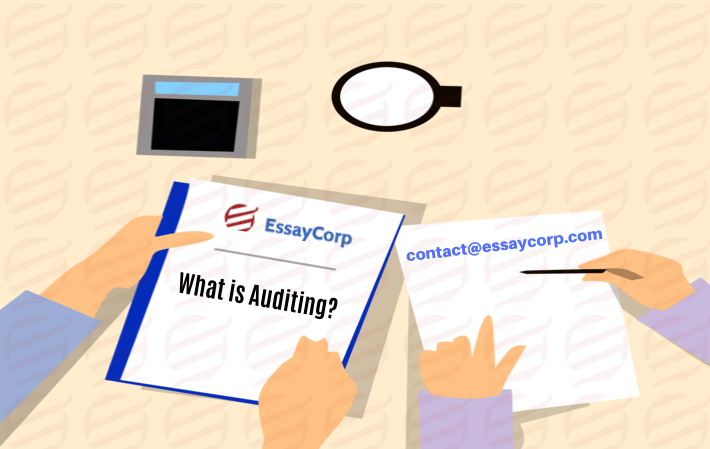 The auditor has the responsibility to comply with its activities with the set standards of auditing as it helps in reflecting an accurate position. The main of the auditors is to build the disciplined and systematic approach for evaluating and enhancing the risk management system, governance process, and control. Overall, the auditors work with the objective to review the business processes of the organization. Auditing- a tool for examining authenticity of an organizational financial performance! The study of the auditing is to develop the independent examination related to the financial statements of the organization. The tasks of auditing enhance the credibility and value of the organization’s financial statements. These financial statements prepared under a systematic auditing process increased the confidence of the user and reduce the risk of the investor. The internal audit mainly prevents the organization from frauds and mistakes. It also provides the scope to the management for identifying the various kinds of accounting errors and irregularities. The internal audit mainly focuses on the regulations, processes, and compliance. The activities of internal auditing can also be outsourced which is identified as an external audit. Is internal audit is similar to external audit? Let’s find out! The internal audit completely deals with the internal process of an organization. It of often argued that when an internal audit is outsourced it takes the position of external audit. But, this is not true at all. The main purpose of external audit is to present the reports of the audit to the stakeholders that may include banks, customers, potential investors, and lenders. The external audit is considered less biased and better in providing corporate governance. Money can’t buy the organizational effectiveness but auditing can! As we know, auditing is a systematic activity which mainly deals with the preparing the financial statements of the organization. Hence, it is considered one of the most important activities that must be carried out by all kinds of organization. The auditing increases the effectiveness of an organization by helping the management to develop their understanding about the organizational performance and structure. It informs the management about the business operations, frauds, financial records and errors which have occurred in an accounting year. The internal auditing protects the assets of the business by reducing the chances of frauds. Hence, it brings the efficiency in the organizational operations. Apart from this, the auditing increases the financial integrity and reliability along with ensuring statutory compliance and laws. The auditing enables the organization to establish a monitoring procedure that helps the management in maintaining systematic control program. It further renders the support for identifying the redundancies in the control procedure and operations which helps the management to bring effectiveness and efficiency in their procedures. As a result, the auditing acts as an early warning system that enables the management to identify the deficiencies which are needed to be corrected on time so as to enhance the organizational effectiveness. Take the best help in the subject of auditing from our experts! Now, as we know, that auditing is an important tool for improving the organizational performance. Therefore, it is necessary to study this subject with full enthusiasm. 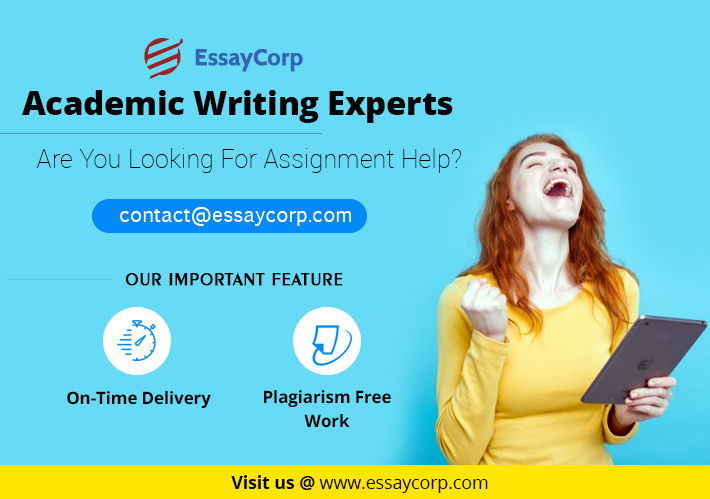 EssayCorp experts are thorough with the different branches of auditing and accounting with the help of which the students can develop more understanding about this subject and can think of becoming the best auditors in the future.